Newport RI is a world-class destination and certainly has the reputation as an expensive place to visit. While it is true you can spend thousands on a trip here, you can also visit and have a great time on a limited budget. As with any vacation destination, there are wide ranges in lodging and dining costs. The trick is to be organized and do your research before you arrive, and you'll discover lots of ways to save a buck and still have the time of your life while visiting this bustling seaside enclave surrounded by beautiful mansions and world-class entertainment. With over 25 years living and exploring under our belt, let us guide you through an inexpensive yet amazing trip to the colonial City by the Sea. One of the biggest mistakes people make when visiting Newport is to try to do it by car - this is a really bad idea. 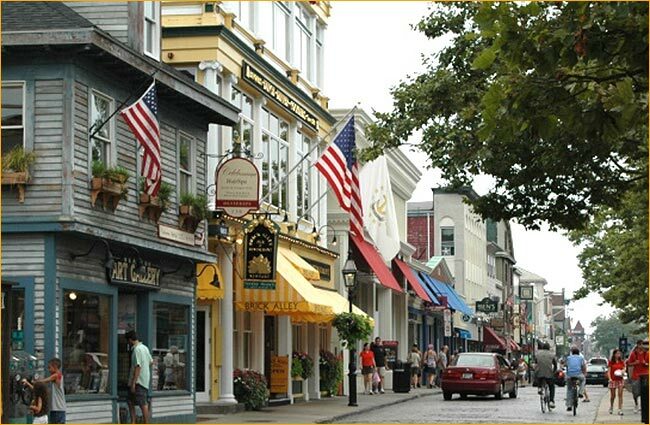 Newport was founded in the 1600's, hundreds of years before the automobile. As such, most of our streets are extremely narrow, and parking around town can be quite difficult. Our advice - ditch the car at the Newport Visitor's Center lot and head out either on foot or bike. From this location, you can walk the downtown waterfront bars, restaurants and shops faster than driving around looking for a place to park. Bonus - parking at the Center is very inexpensive and will save you a lot over trying to park downtown. If you're in decent shape, famed Bellevue Avenue, The Tennis Hall of Fame and a few of the mansions are within walking distance as well. If not, visit the mansions either first thing when you arrive or the last thing on your way out of town as there is decent parking available at most of them. Also keep in mind that public transportation is available throughout the year, but especially during the summer months. Bike taxis, regular taxis and the ubiquitous Uber is also available to get you around town when its too far to walk. Sure, it sounds like a contradiction, but there are plenty of places to get a bite in town where you won't have to mortgage your house to have a decent meal. Our biggest tip is to have a big lunch and a modest dinner. Lunch prices can be super cheap and you often get the same thing that's available on the dinner menu for a lot less. 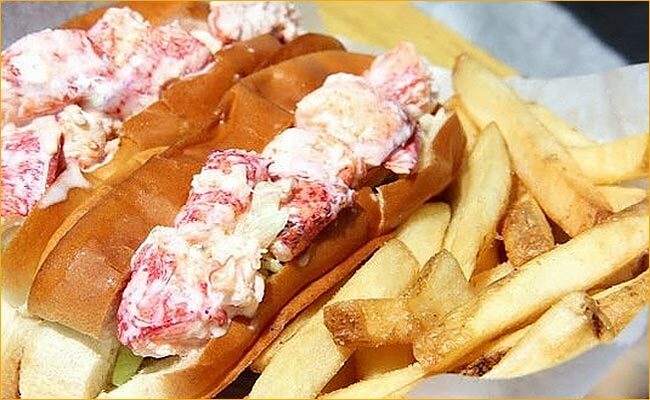 If lobster is what you're after and its summertime, go straight to 1 of 2 places: either the snack shack at Easton's Beach in Newport for their twin lobster rolls, or downtown Newport at the Long Wharf Lobster Shack. Either way, it won't bust the wallet and the lobster is delicious. At dinner, get something easy like a gourmet pizza and salad for about $25. It's still delicious, something a little different, and most of all will save you big bucks off dinners than can be well over $75 per person including drinks. There are several great pizza places in town, each with their own twist on the meal that everyone loves! Besides, virtually of them deliver so you don't even have to leave the room. If you happen to be visiting Newport on the off-season, many restaurants offer amazing dining deals that you can take advantage of while in town. Yes, we'd all love to stay in a 5-star hotel overlooking the ocean or Newport Harbor; but that just isn't realistic sometimes. When you're on a budget, but still want to get away to Newport, there are plenty of other options. Our first suggestion is to stay outside of Newport in neighboring Middletown. Its just a five minute ride to Newport from most locations and you can save hundreds per night compared to similar accommodations in downtown Newport. If you're really trying to stretch the budget, consider motels in both Newport on Connell Highway as well as Middletown. Rates are even cheaper here and if all you care about is a bed to sleep in at night, these might fit the bill too. Lastly, you can even stay at a campground in Portsmouth, about a 10 to 15-minute ride from town. 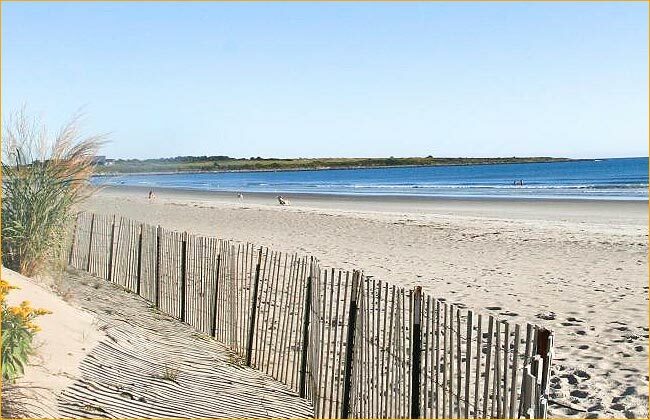 All Beaches in Rhode Island Are FREE!! Yes, there are parking fees, but everybody has free access to the ocean everywhere in this state. So how do you avoid the fees? Simple, ride your bike or walk to the beach in Newport. If you have the car, you can park on a few close sidestreets and walk right onto the beach for the day. Another great suggestion is to go to a small, rocky beach located right on the CliffWalk. You can even park your car for free here just a few steps from the beach! If you don't require all the beach amenities like bathrooms, showers and food, this is an awesome location to spend overlooking the crashing waves on the rocks. Similarly, if you venture out on ocean drive, there are a few sandy coves where you can relax and swim in the ocean for free. One of our favorites is King's Beach, right on Ocean Drive. If you're a diver, this is also a favorite spot. Lastly, there is a beautiful sandy beach right at the beginning of the drive locally called "Rejects Beach", but its actually the public part of the very exclusive Spouting Rock Beach Association and Bailey's Beach. The only caveat here is that there is NO parking at all, and you will probably have to bike here from town (about 10 minutes) or take a taxi to get here. The upside is that this beach rivals almost any other in the area and its FREE! If your budget doesn't allow for a tour of any of Newport's Mansions, there is still plenty of history to explore in one of America's oldest colonial cities. It's everywhere, from the cobblestone streets, to the gas-lit street lamps, and to hundreds of homes and buildings throughout the city. 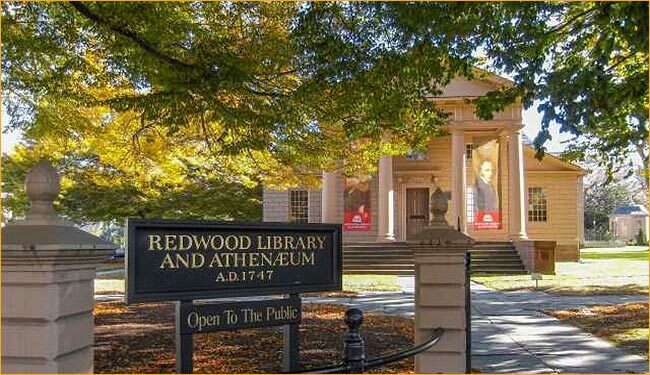 Walk the historic Point neighborhood, the homes surrounding Trinity Church in the center of town, and up Historic Hill onto beautiful Bellevue Avenue. There's an incredible amount to see just from the street, reading all the historic placards on homes throughout Newport. When its time to take a rest, head to Battery Park in the Point; you won't be disappointed. A small but beautiful park awaits you, with benches that overlook Newport harbor and unforgettable views of Goat Island and the Newport Bridge. You can't buy that experience for any amount of money. These are just a few suggestions to make the most out of your budget-friendly trip to Newport. But don't let us stop you there; to truly explore an area you have to immerse yourself in the culture and feel of the history and the people that live there. So don't let a few bucks deter you from your next visit; just think a little outside the box and you can have a great Newport vacation on a budget.